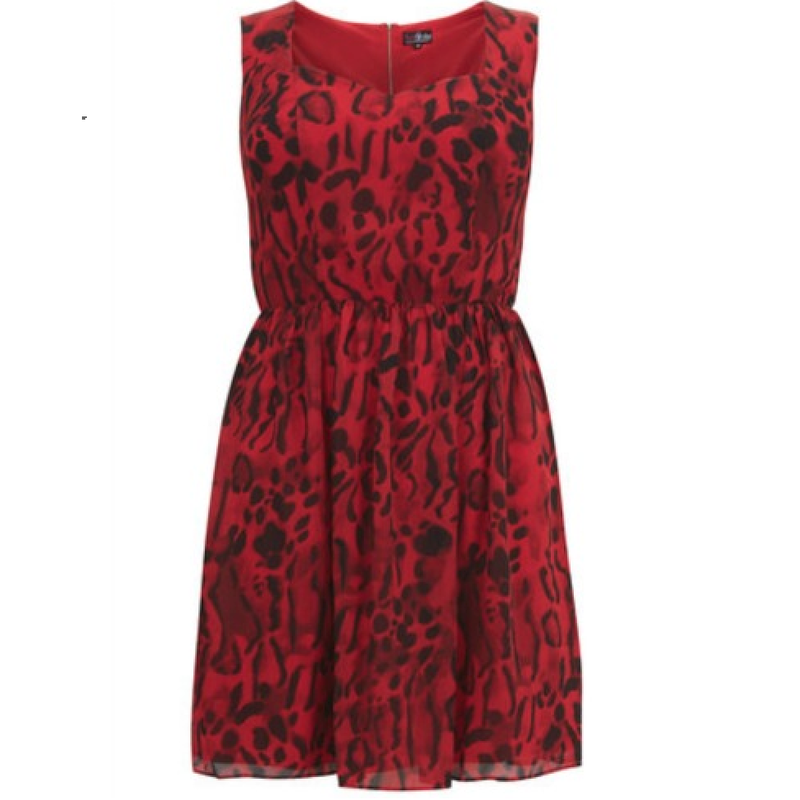 Red Leopard multi animal print skater dress with V neck and zip back. Machine washable at 30 degrees. Wash colours separately.